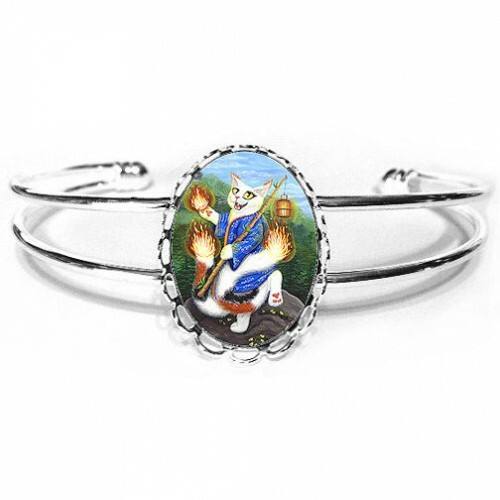 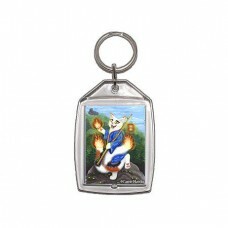 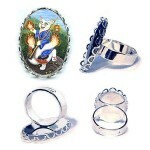 Bakeneko Nekomata - Cuffed Bracelet - AKA The "Ace of Wands" for the 78 Tarot Mythical Deck. 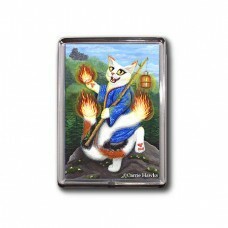 A positive card full of personal power and hope for the future. 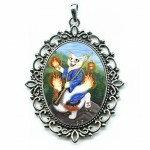 I interpreted it as the Mythological Japanese Monster Cat called Bakeneko/Nekomata. 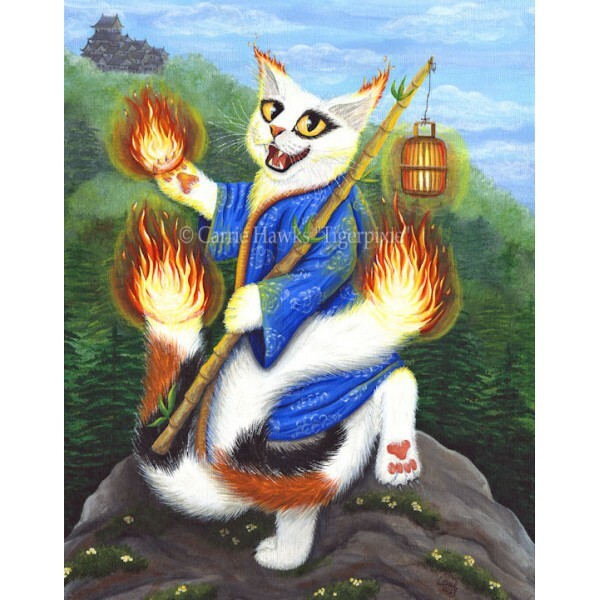 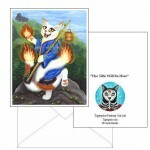 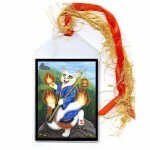 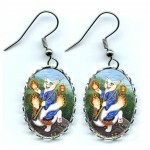 Nekomatas are known for having forked tails of fire and living in the mountains. My Nekomata is confident ready to take on the whole world or at least this forest & Japanese Castle!